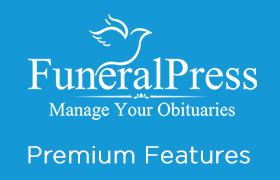 The Funeral Press Premium Features Extension gives you a powerful set of tools to manage your obituaries even better. 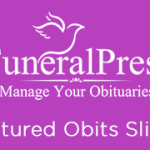 This extension is a great extension for Funeral Press Base (Built on the WordPress Platform) and benefits cemeteries, newspapers, online magazines and larger funeral homes.The extension allows you to integrate photos and videos into guestbooks, manage funeral homes and places of worship integrated full with Google maps. 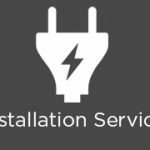 Import funeral homes and places of worship with our data link which gives you access to hundreds of thousands of locations in the united states. Print out QR codes for a funeral service that links directly to the obituary so family and friends can sign the e-guestbook directly on your website.